Redmi X: first flagship of the new house coming? Home » News » Redmi X: first flagship of the new house coming? In the last days we are full of news regarding two new devices at home Xiaomi, or the highly anticipated and chatted My 9 that could come out soon, and the eldest brother of the last born of the independent brand Redmi, Or the Note 7 Pro. Not that this news is of secondary importance, but has passed in a flash as if it were really nothing: instead we think that it is, finally, to something new that will come out of the Chinese company's workshops. We are talking about the Redmi X, first probable flagship of the new Redmi coming next month. What is it? We do not even know it, but we have some ideas. A poster is circulating, of which official status is yet to be confirmed, which presents in a clear and clear what would have in store Xiaomi, or better Redmi, for the 15 next February. There is no doubt that it is one smartphone, so far it does not rain, but le hypotheses are really varied: first of all with this name we could refer to a new device, perhaps the first of the first series launched by Redmi. 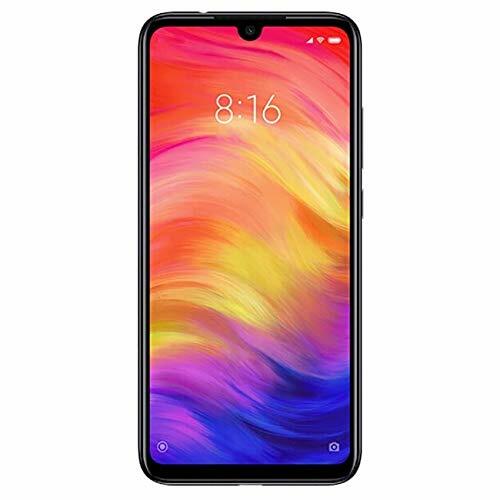 In fact it would not be quite strange to see a series under the Redmi brand, just as it was for the Mi, Mix and (at the time) Redmi for Xiaomi series. It could then be one variant of the 7 NotesIn fact, as we know, it should come out soon too Pro version of this last device, yes it would differentiate mainly for the IMX 586 photo sensor rather than an ISOCELL GM1. This hypothesis would also be corroborated "From the custom" of Xiaomi to launch products very similar to each other a short distance from each other. The only thing that does not come back is the reason for a different name. And what is it different from other versions? Read on to find out. The only thing we know, and really the only one, is the one we read in the caption under the name: it says "Mobile phone with national fingerprint". 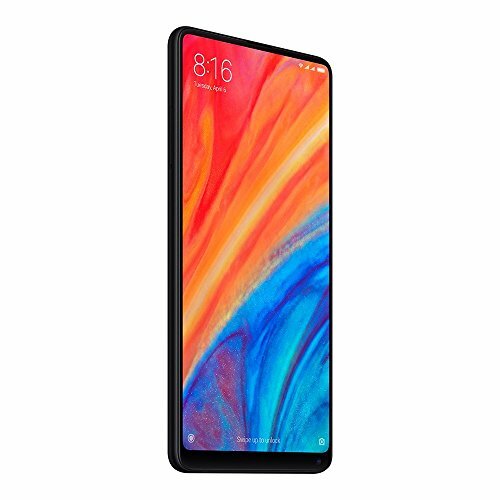 Now, that "national"We do not understand well why it is there, perhaps for that so much dream of Lei Jun to become a national company, but the sure thing is that this device will be the first Redmi to have the fingerprint unlock on the screen, the one that Lin Bin told us to be implementing for future devices. 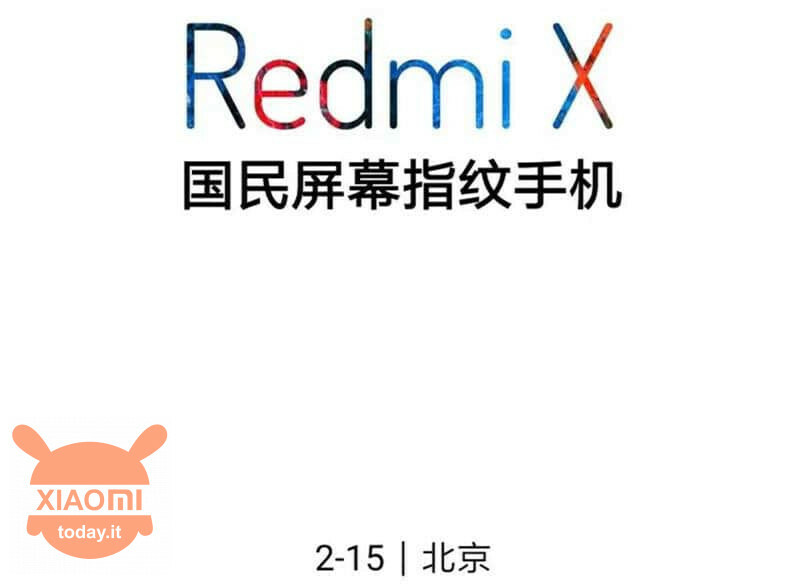 In addition to this we know that the launch of the Redmi X is scheduled for the February 15 in Beijing. It went unnoticed or maybe I only noticed it, but does not this poster remind you of anything? Just nothing? Oh well, I'll give you some clues: white background, minimal design, a big X on the name and colors that refer to those of the iPhone X advertising. It is impossible not to notice that the tones and the "texture" of those colors that can be seen in the contours of the writing are very similar to those of the device of the Cupertino giant.